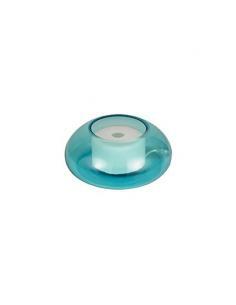 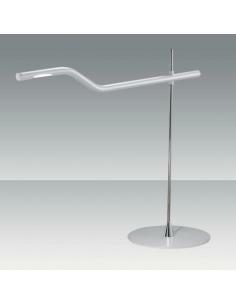 Body light, clear blown glass colored. 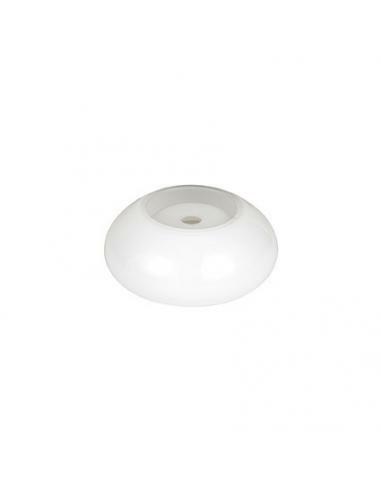 Diffuser in glass blown white acid-etched. 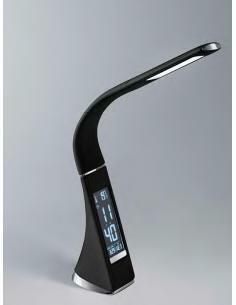 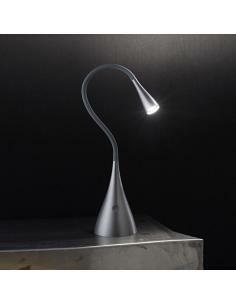 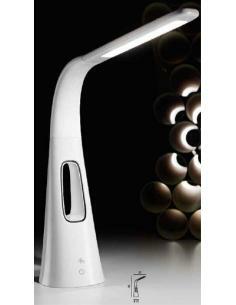 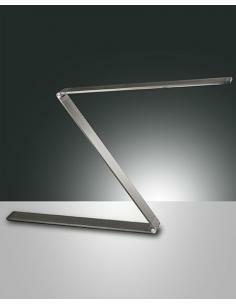 LED lamp included and replaceable. 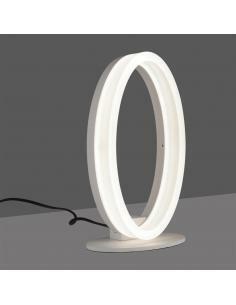 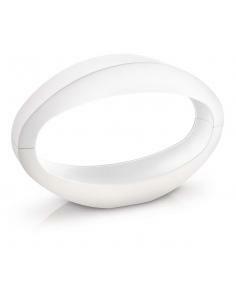 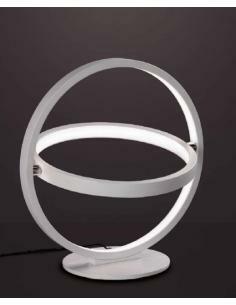 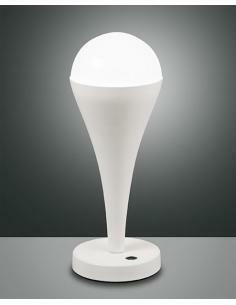 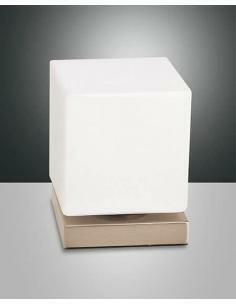 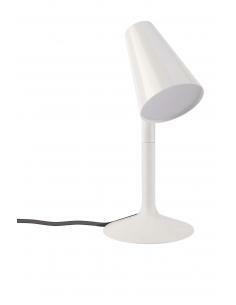 Table lamp, white color. 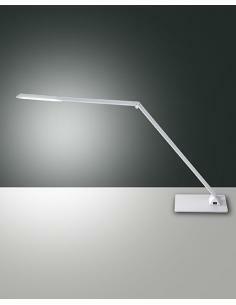 Power-touch adjustment of the intensity of the light to the touch.